I don’t think there is just about anything better than homemade donuts. They are so fresh and delicious. Did you know they are really not that hard to make either. I make homemade maple bars at home. They turn out really good and if you start the dough the night before they are easy to get done in the morning. 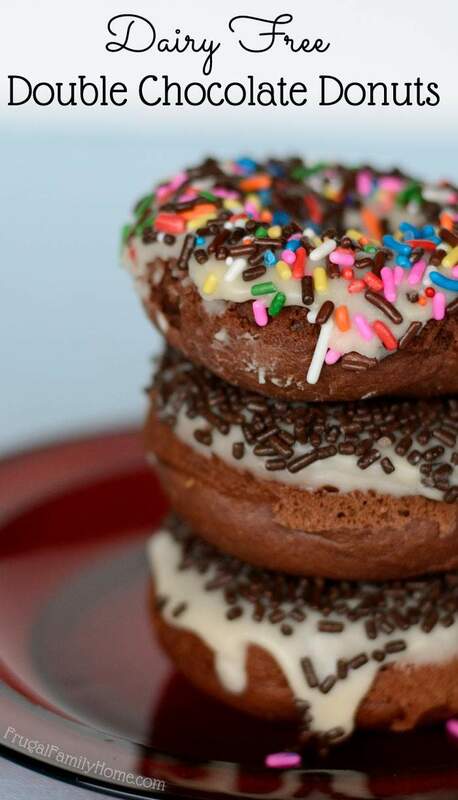 But I think my all time favorite donut, is cake donuts. 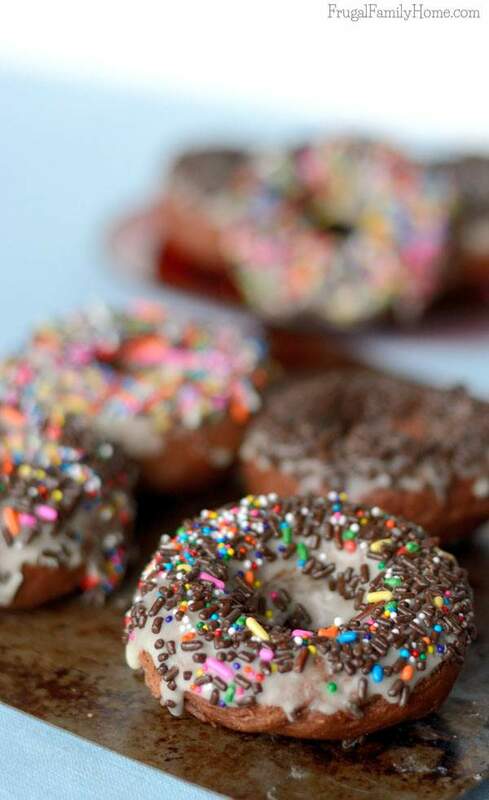 When I would make cake donuts in the past, I would fry them in oil in a pan or my deep fryer. But then one day while searching Pinterest, I saw a recipe for baked donuts. They used a donut pan to bake the donuts. 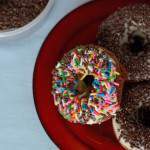 I had never heard of a donut pan before until I saw those recipes. So the next time my in-laws asked me what I wanted for a gift, I said I would love a Donut Pan. 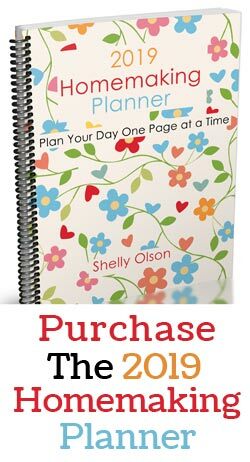 (affiliate link) They gave me one and it works great. The pan came with a basic recipe but I am not one to stick to just the basic recipe, so I worked on creating a new one. 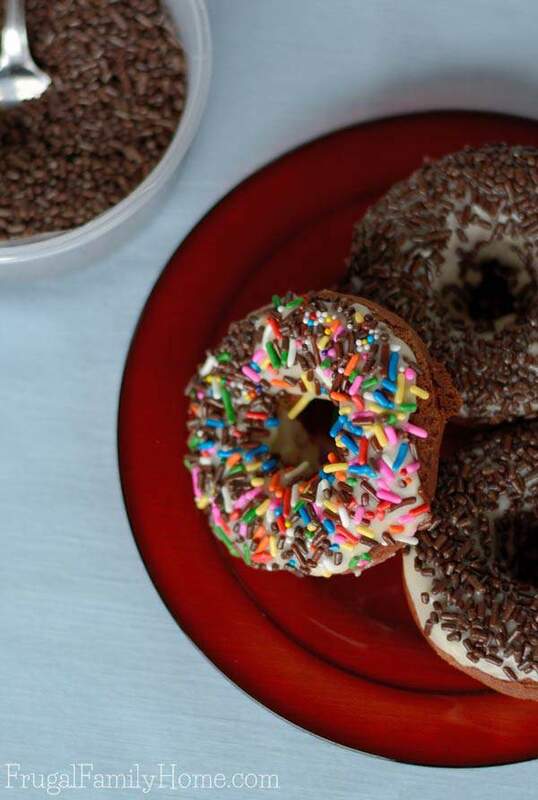 I call these delightful rings of chocolate goodness, Double Chocolate Donuts and they are dairy free (if you don’t eat dairy free just use the regular versions of the dairy-free ingredients). These chocolate gems have a chocolate cake with chocolate chips added. Can you tell I really like chocolate? These mix up by hand quickly. 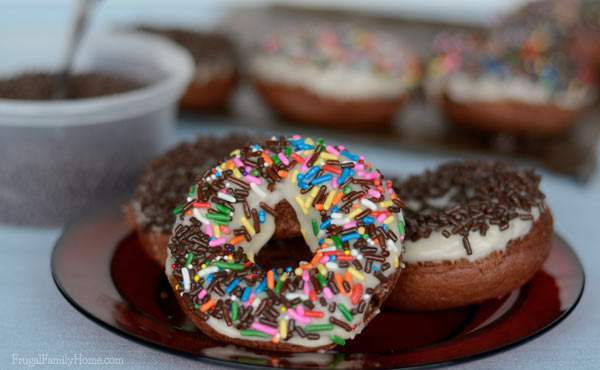 These donuts are quick to make. I can get them done before my family is just starving in the morning. I will warn you if you have a large family you might want to invest in two donut pans, so you can bake a dozen at a time. For our family of four, one pan works just fine and I bake the donuts in two batches. If you don’t have a donut pan, muffin tins or mini muffin pans work great too. I have found, after trial and error, it’s easiest to get the dough into the donut pan by using a pastry bag to squeeze out the dough into the pan. If you don’t have a pastry bag, I know I don’t. Place the dough into a zipper plastic bag. Squeeze the extra air out and zip up. Snip the corner off of one corner of the bag and squeeze the dough into the pan. It fills the pan nicely and no messy drips. Mix the dry ingredients and chocolate chips. Add the milk, eggs and the margarine and mix well. Fill the donut pan cavities abut 2/3 full. Bake at 425 for 7-9 minutes and then let sit in pan for about 5 minutes. Remove and let cool, glaze or frost with frosting. These donuts are delicious warm. You can glaze them or frost them and add a few sprinkles, which is my favorite. 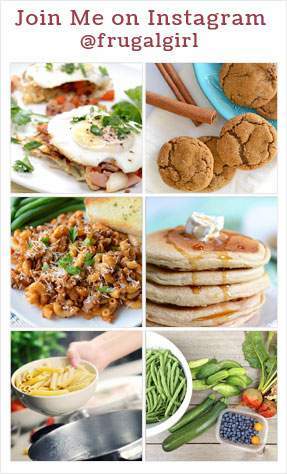 See more breakfast recipes by clicking here. Sorry, but chocolate chips have dairy in them in the form of milkfat. Sandy, There are some brands of chocolate chips that are dairy free. The Enjoy Life chocolate chips from Amazon are dairy free. Just shared this on my blog! Thank you for submitting it. They look delish! OMG this looks AMAZING! I’ve never tried to make donuts before, but now I’m going to give it a try … and hopefully not eat too much of the batter while I’m cooking! Thanks Lindsay, they are really good.